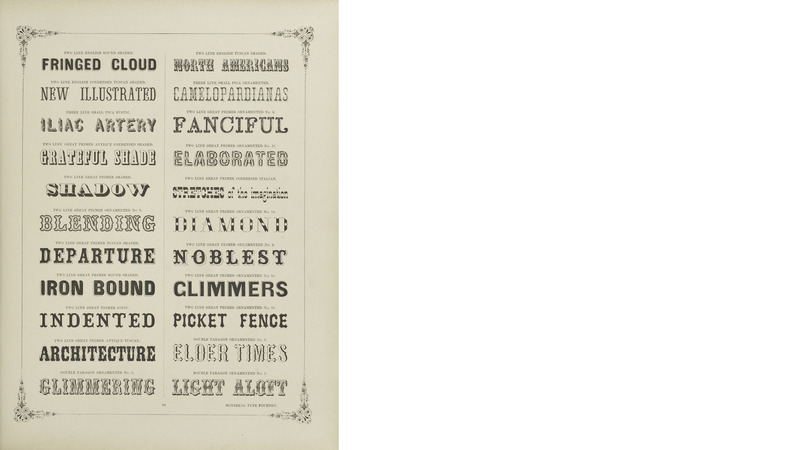 Specimens of Printing Types, Plain & Ornamental, Rules, Borders, Cuts, &c., Montreal Type Foundry, 1865. Coll. patrimoniales de BAnQ.